How Can I Get A Small Loan Fast? There comes a time when you need extra funds to make sure you have enough for paying utilities and other important expenses until your next paycheck. Loans are accessible in all sizes for borrowers to meet their fiscal needs. 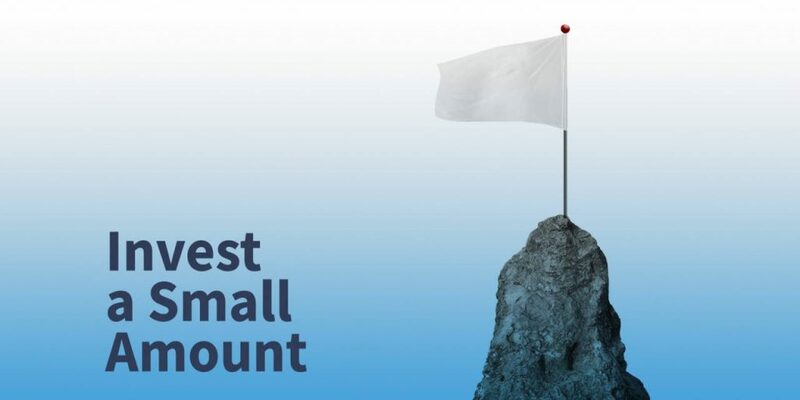 If you need emergency backup to cover a financial crisis, or even pay for a vacation… enter small loans! A small loan is a type of credit offered by non-traditional lenders somewhere in the range of $100 and $2,000. This loan differs from a personal loan in that small loan ordinarily has shorter loan term and have more flexible criteria for lending. Personal loans from banks have a minimum loan amount between $3,000 and $5,000. If you’re searching for a small loan, there are options you can choose from which can address your financial needs. Payday loan — A payday loan is a type of small loan where a lender will charge high interest rates based on the borrower’s credit profile and income. A payday loan principal is typically a portion of a borrower’s next paycheck. These loans charge high interest rates for short-term immediate funds. Cash advance — A cash advance is a small loan from a bank or a specialist lender. It also refers to a service provided by many credit card providers allowing cardholders to withdraw a certain amount. Cash advances generally feature high interest rates and/or fees, but they are attractive to borrowers because they also feature quick approval and access to funds. Overdraft — The 2 most common types of overdrafts are standard overdrafts on checking accounts and secured overdraft accounts that lend cash against various financial instruments. A standard overdraft offers more funds from an account than the balance would allow. If you have $20 in a checking account and withdraw $25, a bank/lender that offers overdrafts covers the $5 and charges you a fee for the service. You are charged a separate fee for every excess on your account balance. Secured overdrafts are like traditional loans. As with a cash credit account, money is offered by lender and a collateral can be used to secure the credit. Lines of credit — A line of credit is an arrangement between a bank or a lender – and a borrower that establishes the maximum loan amount he can borrow. It is a flexible loan or funds that can be used however and then repay immediately or over a specified period of time. A line of credit will charge interest as soon as money is borrowed, and the borrower must be approved based on his credit rating and/or relationship with the bank or lender. Schedule of repayments — You should know if the set out repayments are flexible. You can make your loan repayments on a weekly, fortnightly or monthly basis. If your preference is to keep on track, a strict repayment schedule might be a much better option. Minimum and maximum loan amounts — It is essential to figure out just how much financial obligation you can handle. In case you are uncertain on how much to borrow, there are some loan options that can provide you with ongoing credit to draw down on as you need to, such as a line of credit. Fees and interest — Application fees and rates depend on the lender you borrow from. To ensure they are competitive, compare the costs of similar loan products against each other. Loan management — Most lenders provide online account or applications (apps) for you to easily manage your loan. Do some extra research and look for lenders that provide this service. While applying for a small loan, it’s a must to compute the fees and rates to see your reimbursements and check whether you can handle them. Think about the need for the loan and if it’s not urgent, you should consider saving up first before resorting to borrowing funds. While contemplating whether to apply for a small loan, it’s vital to survey your budgetary situation first and ask yourself whether it’s important that you get the loan now. If you plan use the funds for bills or lease payment, ask first your service provider or landowner for payment extension, if possible. You may also ask to set up a payment plan. Keep in mind, every loan application you make is recorded on your credit file. Such multiple applications can look bad and demonstrate a risk in lending. Good credit file will enable you to get a loan. If you are looking for a loan, it’s best to study all your options with the financial institution you find. If you’ve made up your mind and wanting to get a loan, apply here.